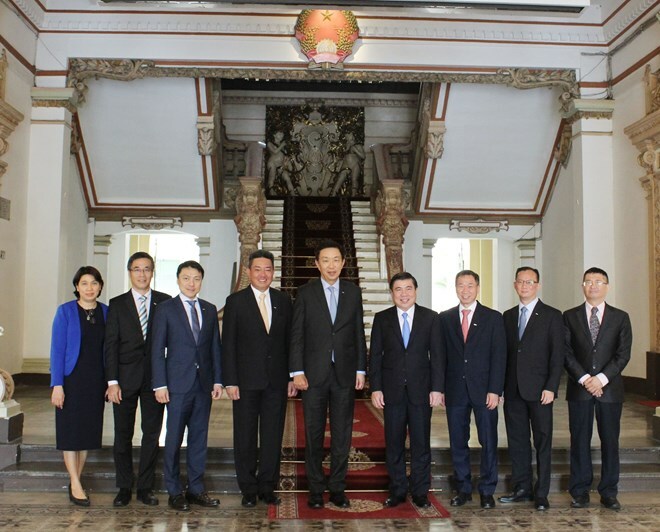 HCM City (VNA) – Chairman of the Ho Chi Minh City People’s Committee Nguyen Thanh Phong expressed his appreciation for Singapore’s Keppel Corporation projects while receiving its CEO Loh Chin Hua on April 5. The host spoke highly of Singaporean investors’ activities in HCM City, noting that some firms have been operating there for over two decades. Singapore now tops the 103 countries and territories investing in the city. He said HCM City will continue perfecting its investment climate so as to further facilitate domestic and foreign investors’ activities. Keppel – with its property and infrastructure projects, lifestyle services, and other ventures – has been a trustworthy and important partner of HCM City for many years, Phong noted, valuing its Saigon Sport City project in District 2 and the Saigon Centre 3 project in District 1. He pledged that all necessary procedures for these projects’ implementation will be completed soon. Sharing its development strategy for the eastern area, the official said HCM City is planning to build an innovative urban area connecting District 2, District 9, and Thu Duc district. He asked Keppel to continue investing in the projects under the city’s development orientations. At the meeting, Loh, who is also Executive Chairman of Keppel Land, thanked municipal authorities for creating conditions for his group to access investment opportunities over the past nearly three decades. Keppel operates not only in the field of real estate, but also navigation, oil and gas, information infrastructure, sustainable solutions for living environments, and smart city building, he noted. Highly valuing the development potential of different fields in Vietnam, he said HCM City is a market with so many possibilities on offer and that Keppel wishes to become a long-term partner of the city in the urbanisation process.